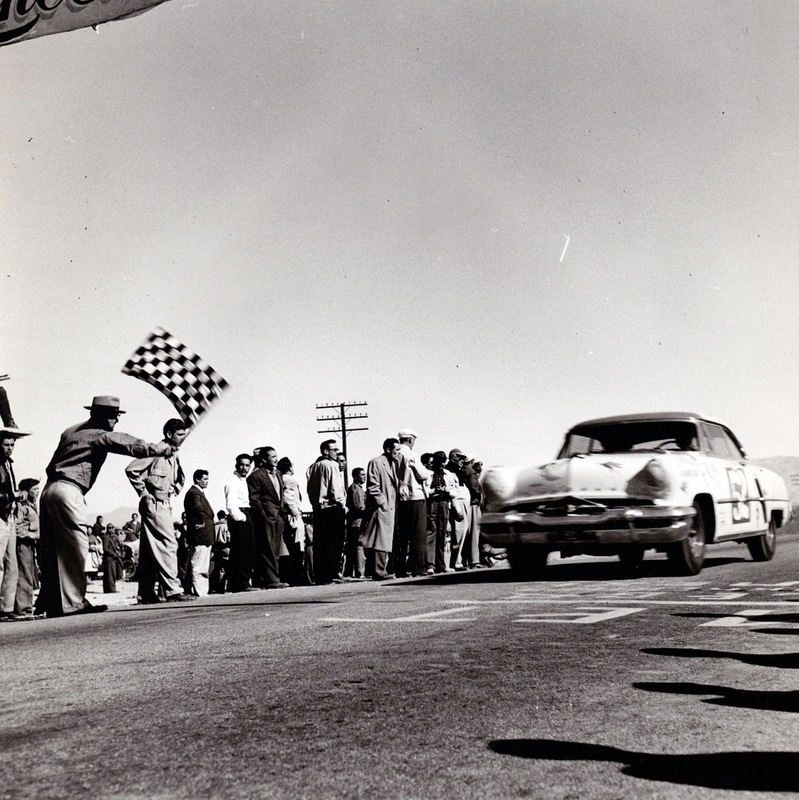 The legendary LA CARRERA PANAMERICANA race was inaugurated in 1950 on the Pan-American Highway in Mexico, and covers more than 3000 kilometres in 8 days. Considered a dangerous race, the safety rules were very limited: no seat belts, minimal protection on the roads, animals crossing, variable road surfaces and serious accidents. The race very quickly became a professional event, notably thanks to the involvement of Juan-Manuel Fangio, who also helped to create the legend. In 1988, the race was revived after a 33-year hiatus in the form of a car rally for classic sports cars built before 1955. 2015 is the first year the race has been an international event: More than 100 cars line up each year for the start in the city of Tuxtla Gutierrez, which will see the race reborn. 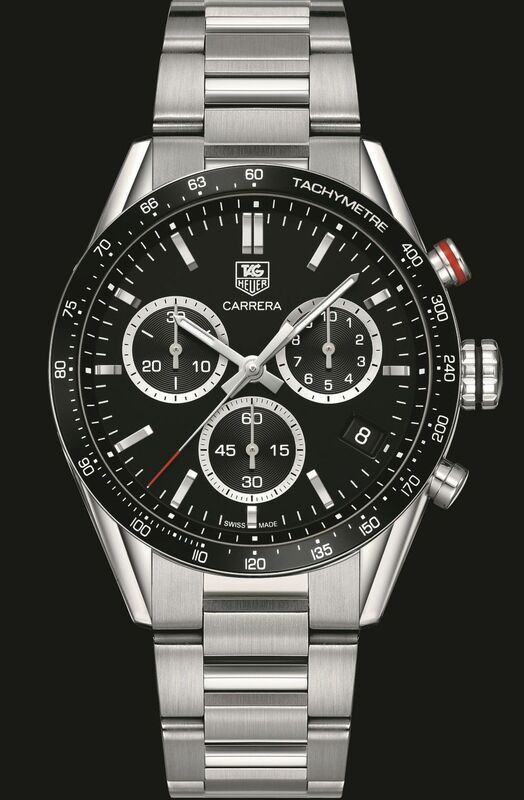 TAG Heuer will be the Partner and Official Timekeeper for the 2015 edition, which takes place from 16th to 22nd October. The history of cooperation between the two brands goes back more than 50 years. 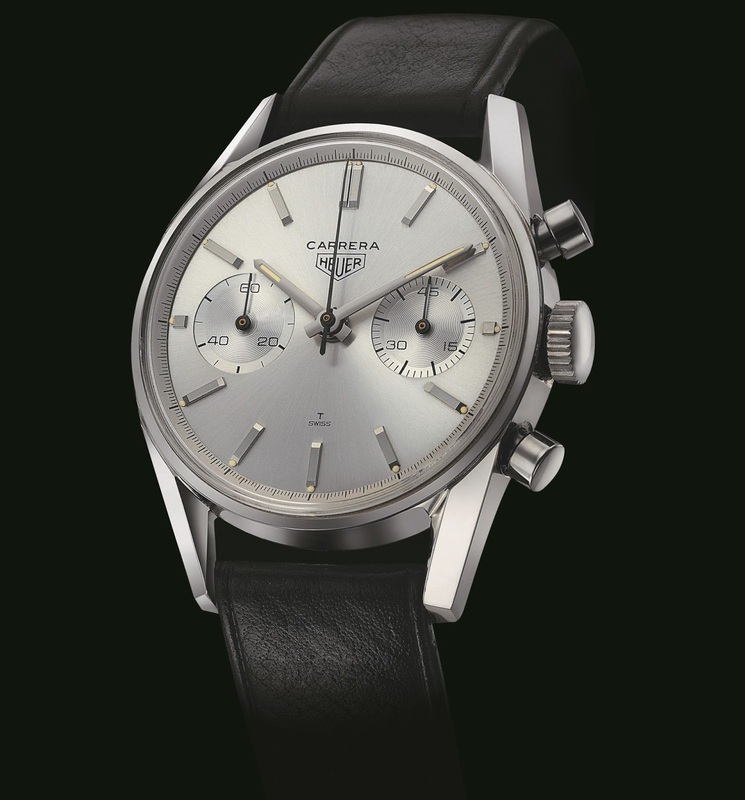 In 1963, Jack Heuer designed the Carrera, a revolutionary, robust chronograph, specifically for racing drivers. Offering excellent readability thanks to its large dial, flange and neat counters, the model has become inseparable from the brand’s identity. 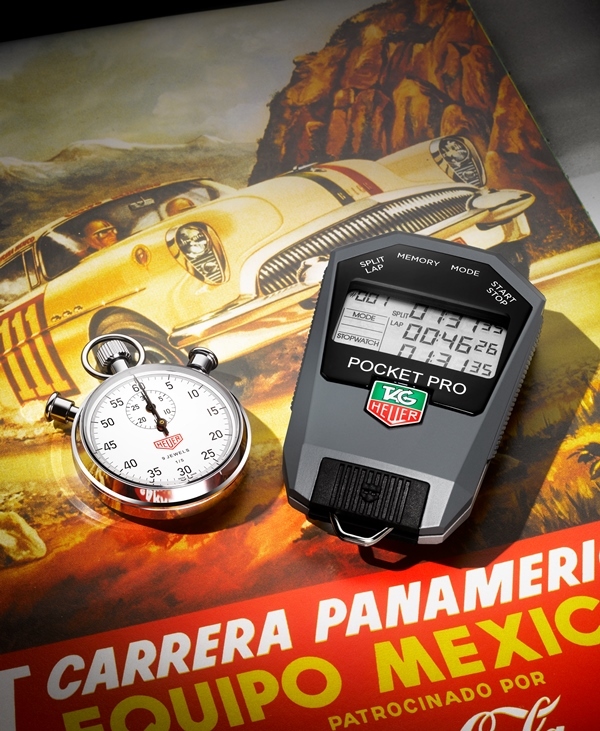 To celebrate the event, TAG Heuer presents the special edition Carrera Panamericana watch, created in honour of the race and featuring the exclusive Panamericana seal stamped on the case back, is a Quartz chronograph with Date in steel (43 mm diameter). With its sporty design, black dial, three counters, aluminium bezel with tachometer and sapphire crystal, the watch is water resistant to 100 m.
In addition, the brand is also presenting the Chronograph Pocket Pro-R HL400-R instrument, designed for the organisers of sporting events. Three new functions dedicated to rallying enable the start to be sequenced with a countdown for the race starter, a schedule with a defined start to be consulted and a stage to be measured. In addition, the 100th of a second pocket chronometer offers standard timing modes, including Split/Lap calculation, countdown and memorisation of the day’s synchronised times. La Carrera Panamericana is the most important and the longest automotive race rally event in the world. It has being described as a hybrid among la Mile Miglia, la Targa Florio de Italia and el Grand Prix de Tripoli. Participants from all over the world compete during 7 intense days through 3,000 km in grueling conditions. The original race took place in 1950 a 1954 and the modern era race started in 1988 to date.